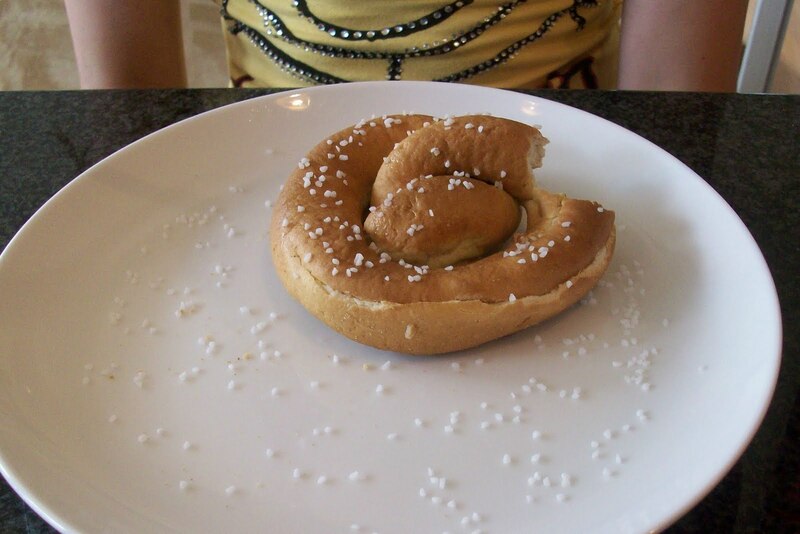 The Nut-Free Mom Blog: Nut-Free Pretzel Bakery Kim & Scott's Introduce a New Gluten-Free Gourmet Pretzel! Nut-Free Pretzel Bakery Kim & Scott's Introduce a New Gluten-Free Gourmet Pretzel! When Kim & Scott's Gourmet Pretzels contacted me about their new Gluten-Free Pretzels, I was very interested to try them. I've been a fan of Kim & Scott's for years and have enjoyed their pretzels, available in the frozen section at the supermarket (check their web site for stores) and also fresh from their nut-free bakery in Chicago called Cafe Twist, which I visit often with my family. You can read a review of that restaurant here. My family avoids all baked goods that are nut-free, but because we don't cope with either celiac disease or wheat allergy, we have not sought out gluten-free baked goods. I was curious to see what these would taste like and what my kids would think. 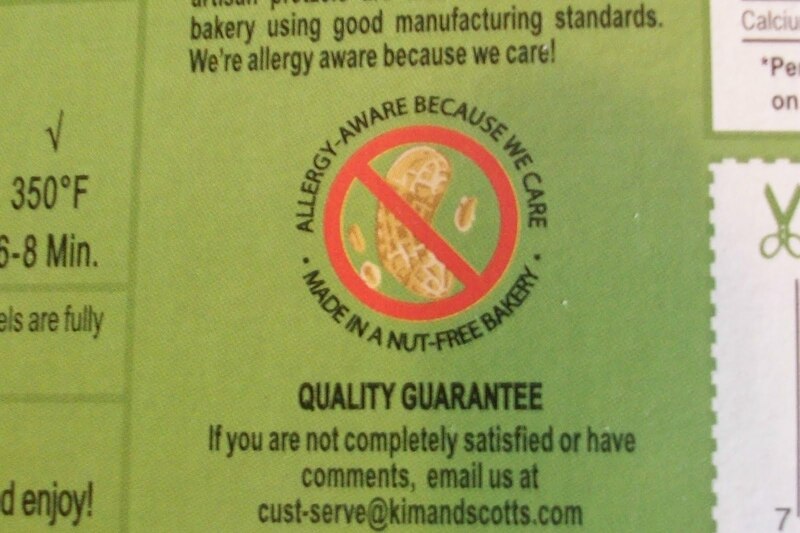 They are serious fans of the "regular" Kim & Scott's pretzels so how would they feel about gluten-free? Turns out that they LOVED them. My youngest daughter ate her first gluten-free Bavarian pretzel as an after school snack and that one was soon followed by her second. I told her that it was gluten-free and asked if she could tell the difference. She said no. I grabbed a bite of my own pretzel. Amazingly, to me these taste like Kim & Scott's regular Bavarian pretzels (my personal favorite). If anything, they are slightly sweeter with a very slightly different texture than the wheat variety. But if you were to give me a gluten-free Kim & Scott's pretzel and not tell me, I don't think I would have known the difference. In a word: delicious. 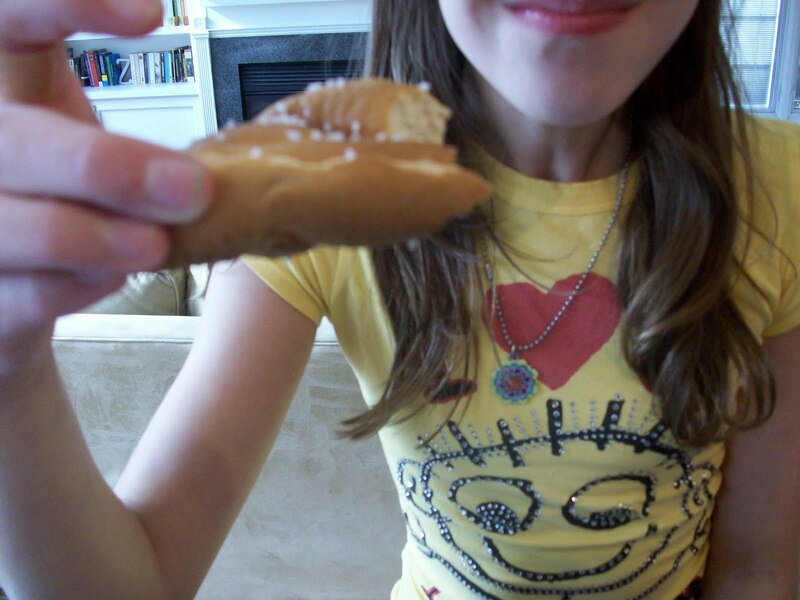 My oldest daughter is the one with the nut-allergy, so she has always appreciated the nut-free aspects of Kim & Scott's pretzels and she informed me that "Kim & Scott's makes gluten-free taste good." I heartily agree. It is very difficult to find products that are both gluten-free AND made in a nut-free facility. How wonderful that there is now a great new snack option for those of us who need nut-free bakery items as well as gluten-free. If you would like more information about this product or other Kim & Scott's products, please visit their web site for details. FTC note: I received food samples, but no $$ compensation for this review. Hi! We love Kim & Scott's too and glad they have a cafe - surprisingly though, at the cafe, they sell chocolate dipped pretzels in plastic packaging that is produced in a plant with nuts! I know--I've seen those, too. But they don't sell anything that actually contains nuts, though, and I've yet to find a bakery that does that, other than Kim and Scott's. So while I know those chocolate dipped pretzels at the register (wrapped, securely) may be off-limits, the rest of the place is so liberating for my daughter. Food Allergy Safe Easter Celebrations!